The worship of Kings Hung has started since King Hung dynasty with national belief “Children of Dragon, Grandchild of Fairy”, from same ancestor; and show traditional moral lesson “drink water remember who dug the well”, unified spirit of nation and public. According to the legend, Lac Long Quan- the son of Kinh Duong Vuong who was married of Au Co- daughter of King De Lai gave birth of 100 sons. Then, 50 sons followed their mother stay in mountains; the remaining followed their father come to sea to settle down. The first son together with his mother came to Phong Chau land (now Phu Tho province) and established Van Lang country and was honored King Hung. 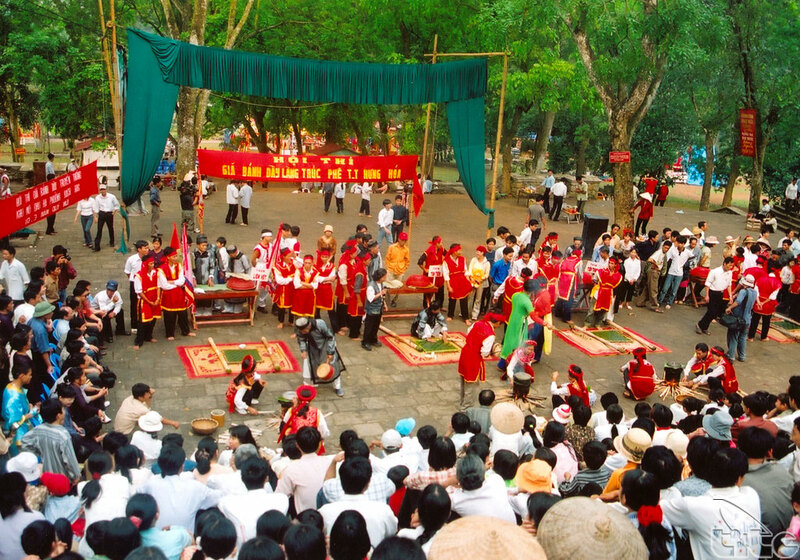 Van Lang was the first country in the history of Viet people and ruled by 18 Kings Hung. Kings Hung taught people grow water rice and chose Nghia Linh mountain- the highest mountain to worship gods of agricultural people such as: Rice God and Sun God to pray for good climate, abundant harvest, and well-developing living beings. 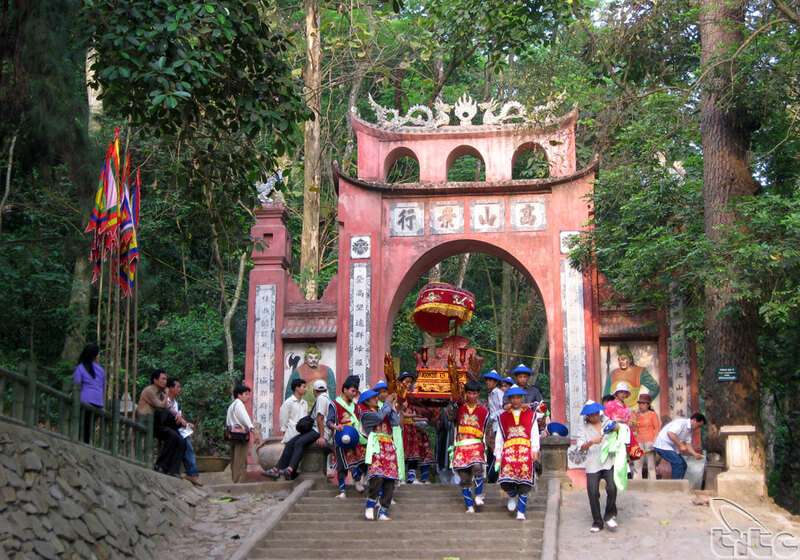 To remember great merits of Kings Hung, people built memorial temples (historical relic area of Hung temples) and the Nghia Linh mountain is the centre. People here decided the date on March 10 (lunar calendar) to annually organize the death anniversary. 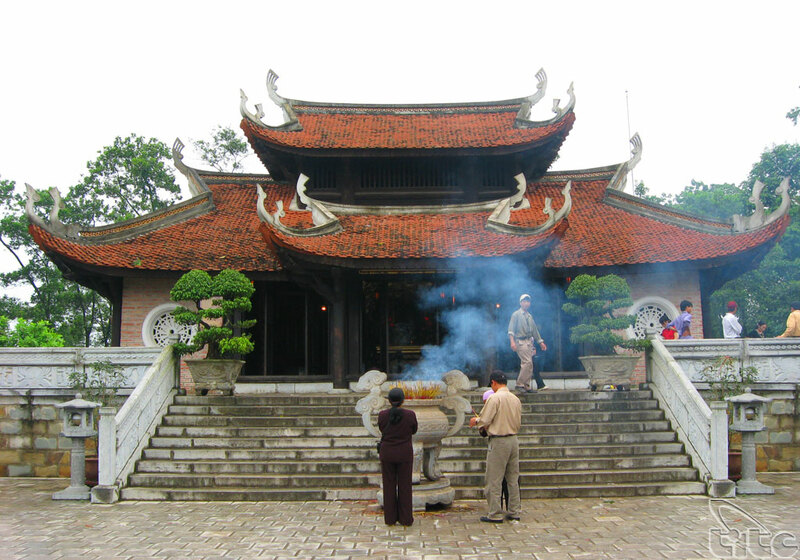 From the center of the first worship temple, the worship of Kings Hung has been spread and remained from generation to generation, from plain to mountainous area, from North to South, from Vietnam to foreign. Despite over ups and downs of history and be invaded by foreign forces, the worship of Kings Hung has been preserved until now and forever after that. According to ancient document, the worship of Kings Hung has strongly developed from long time ago before being officially honored under Le dynasty (1428-1788). Imperial dynasties paid attention and encouraged people remain the worship. Under dynasties of the Le, the Tay Son and the Nguyen supported temples of Kings Hung in Phu Tho, officially recognized forms of worship, free tax, and supported lands around temples for people cultivate and take care temples. 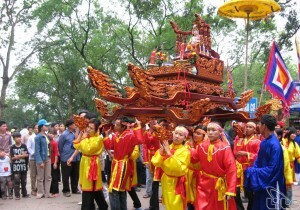 Nowadays, the Party and the state also pay attention to the worship, raise fund to upgrade the worship space, put Kings Hung legend into educational programs for young generations and allow people off work on occasion of the Death anniversary (March 10, lunar calendar) in order that they can take part in the anniversary and hold worship activities. 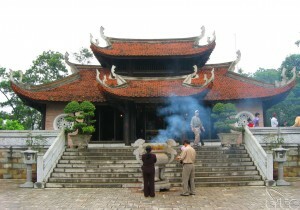 There are total 1,417 temples of Kings Hung in Vietnam. 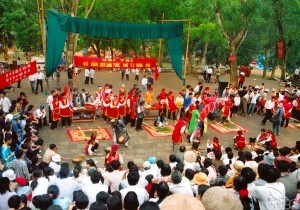 With unique and distinct values, on December 6, 2012 in Paris, UNESCO officially recognized the worship of Kings Hung in Phu Tho province as Intangible Cultural Heritage of Humanity. This is the first belief in Viet Nam recognized as world heritage. The recognized-space includes 109 villages in Phu Tho Town, Viet Tri City and districts of Cam Khe, Doan Hung, Ha Hoa, Lam Thao, Phu Ninh, Tam Nong, Thanh Ba, Thanh Son, Thanh Thuy and Yen Lap (Phu Tho Province).